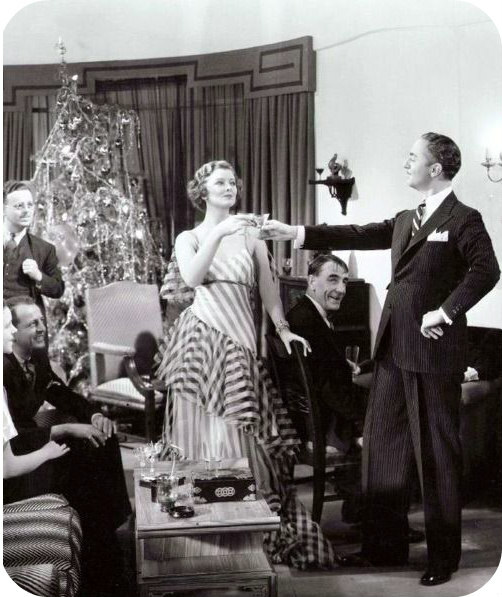 Whoohooo...the end of 2015! I am so excited for a new year. 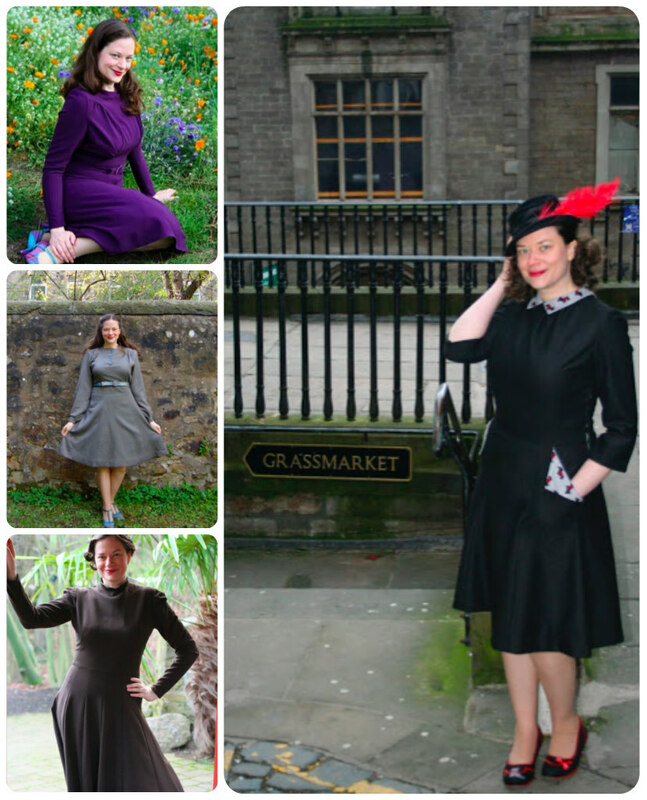 I didn't do a lot of sewing in 2015 because I was so busy with work (and then so tired when I wasn't working as a result), but I'm looking forward to changing that balance in 2016. 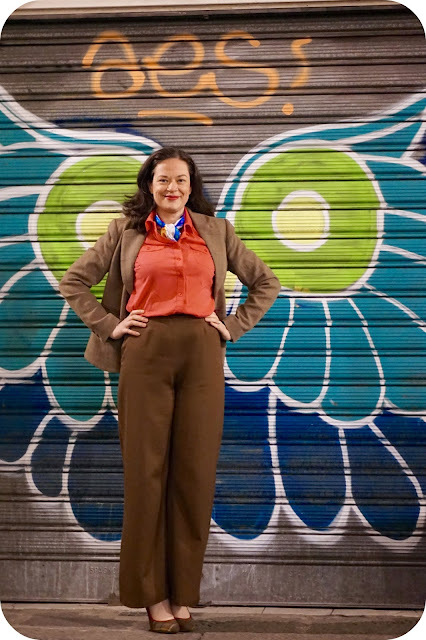 One way I hope to do that is to to continue to focus on what I'm really passionate about– the 1940 McCall Project. 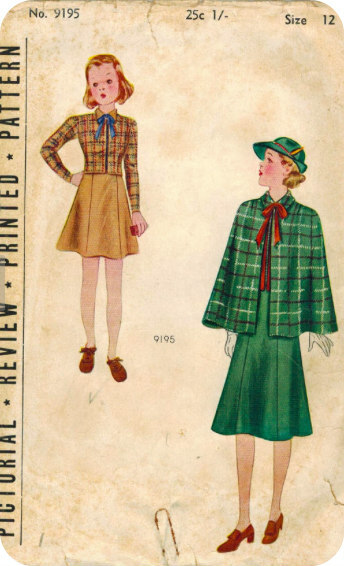 For those that may not know, I am absolutely obsessed with both this year and this pattern company and am trying to hunt down and sew all the patterns from 1940 from McCall. How far have I come with the project? 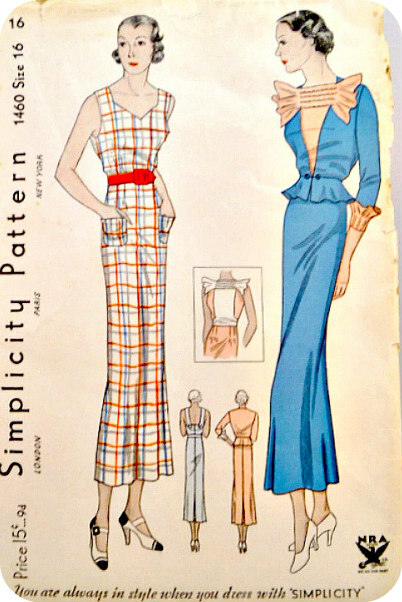 For the pattern collection, I estimate there are 456 main patterns with the copyright of 1940 and 89 transfer patterns (for a total of approximately 545 patterns from the year 1940). 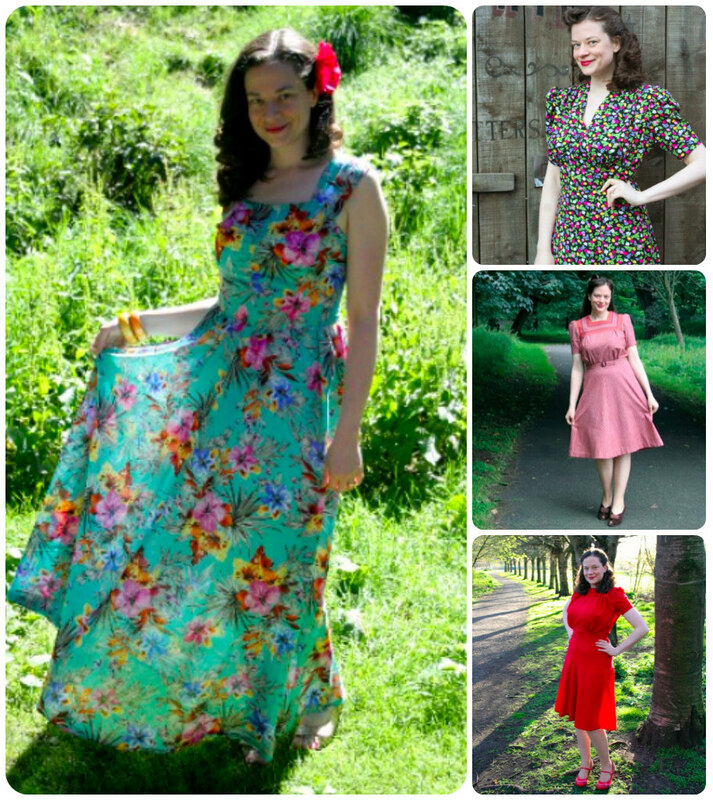 I now own approximately 49% of all the main patterns and 65% of the transfer patterns! Woohooo...half way there! 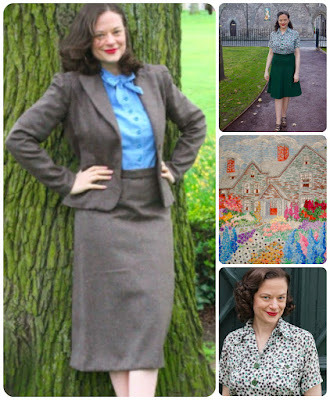 You can follow my pattern collection on pinterest. To date, I've sewn up 24 garments from the 1940 pattern collection (+ 1 honorary mention, the last transfer pattern from 1939). 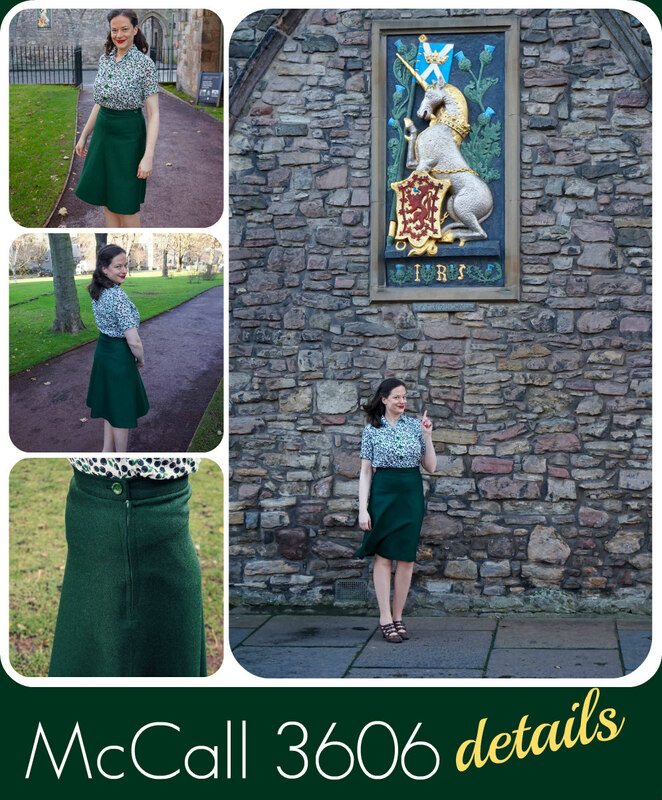 I keep track of all my sewing on a special 1940 McCall Project blog page. Below is a photo recap of the garments I've sewn and some of my favourite items. 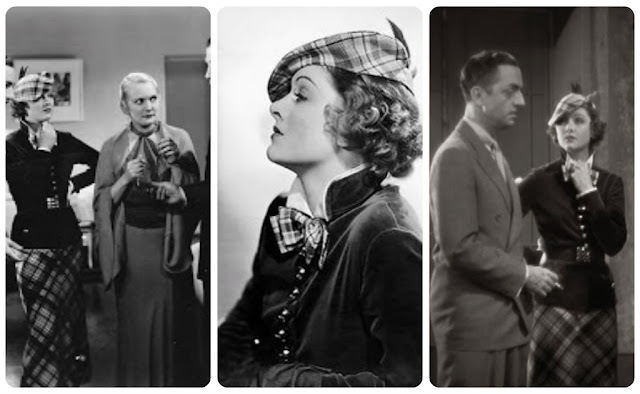 Separates, separates, separates...I love separates. You will have seen by my recent post that I love sewing and wearing 1940s trousers, which makes it great to also sew matching topper jackets, blazers and blouses. 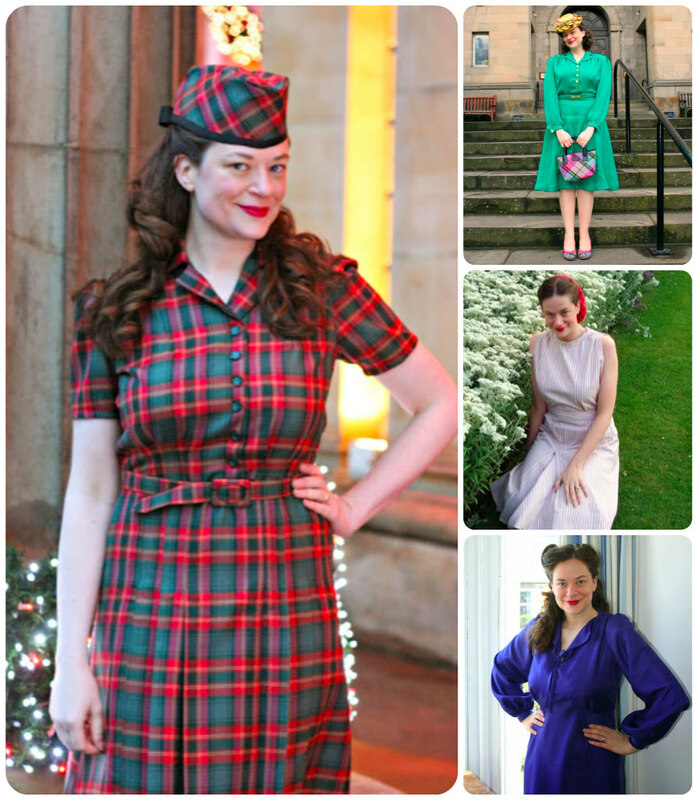 I hope to sew more of these types of garments in 2016! 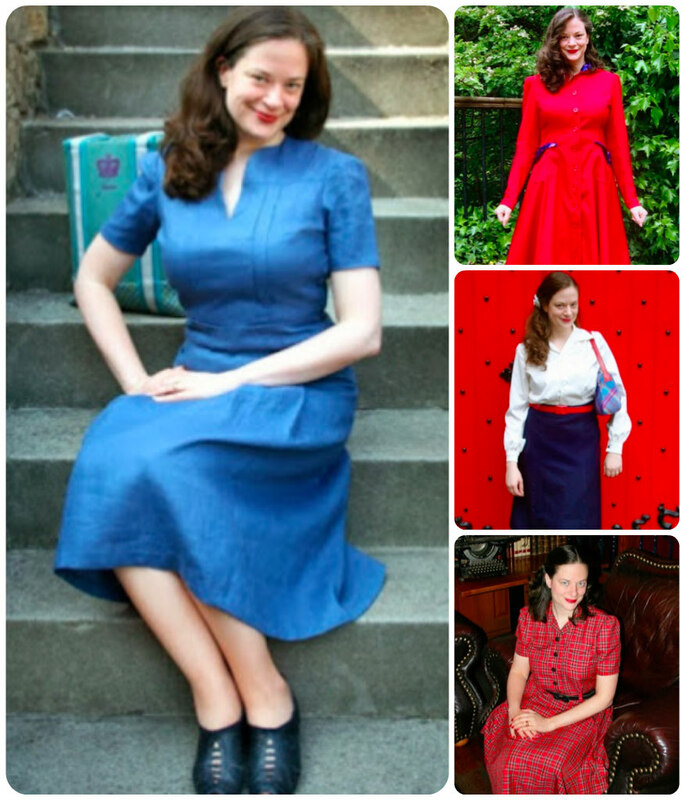 I didn't set out to sew around a colour palette but apparently, I sew a lot of red, white and blue. 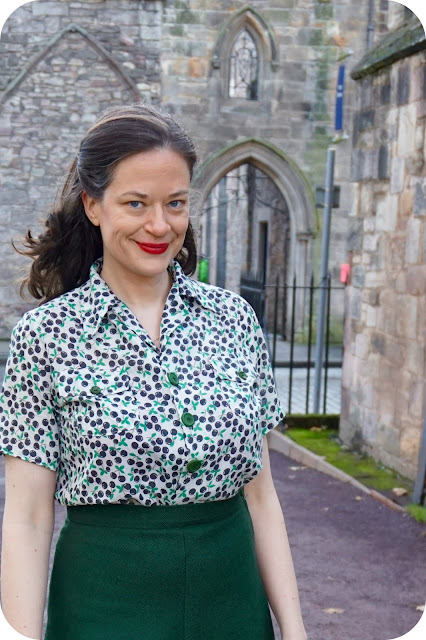 For my next makes, I'd like to focus on making a capsule wardrobe of pieces that go together but I'm still deciding on the colours. 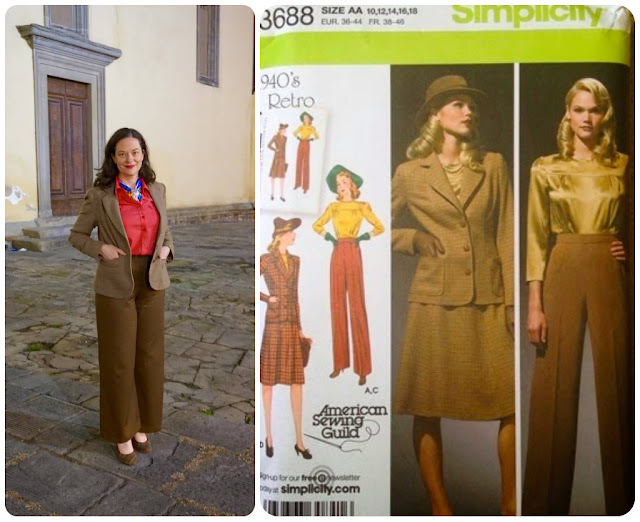 I can't wait to focus more on the 1940 McCall Project in 2016. 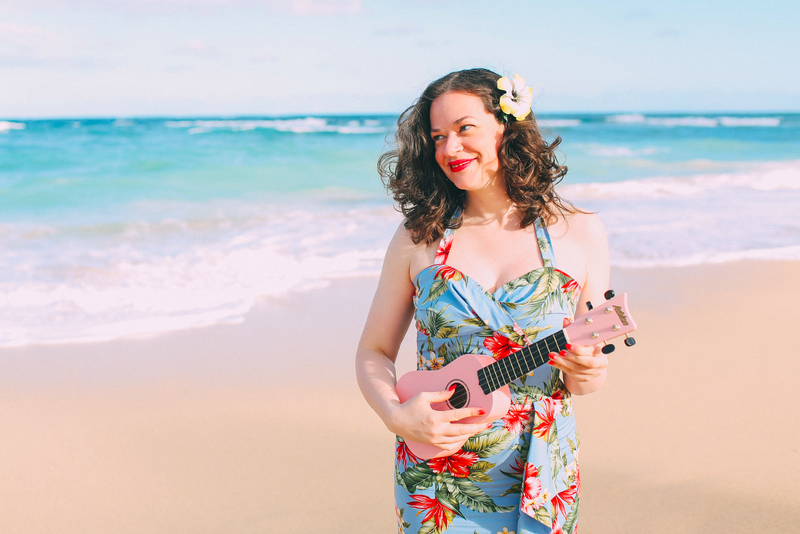 I've got some fun ideas and projects lined up! YAY! Another 1940 McCall make! 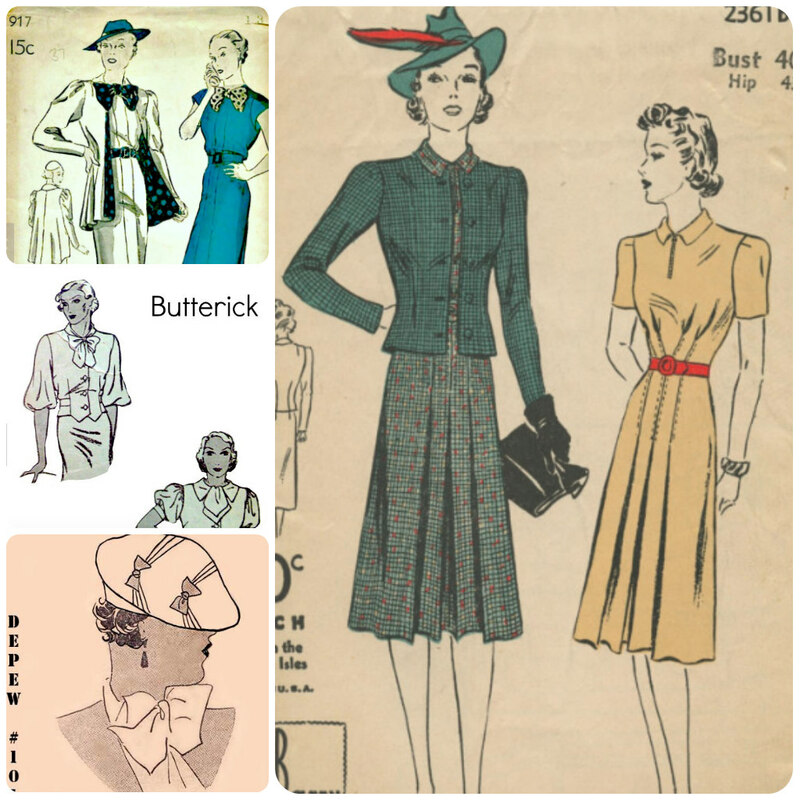 Many of you know that I'm on a mission to sew up as many of these patterns from the year 1940 as possible. Check out my progress here. 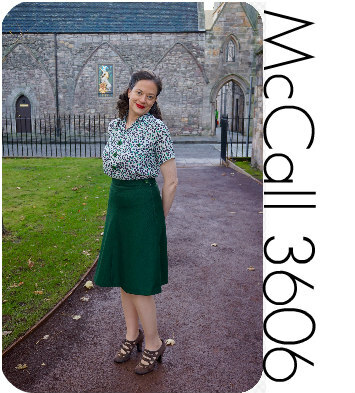 I made up McCall 3606, which is a straight skirt with an option of sewing the skirt with belt loops or without. 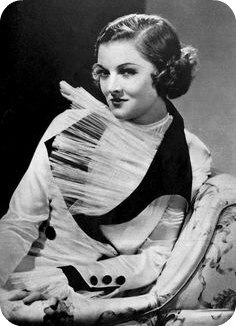 I choose to forego the belt loops on this version. 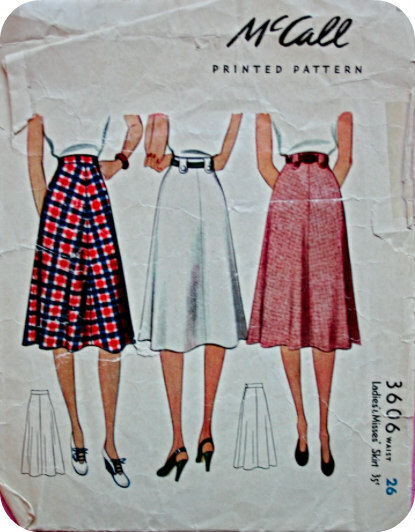 I also sewed up this pattern without instructions. 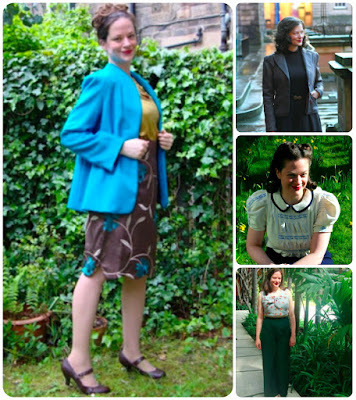 Thank you 1940 McCall for your awesome printed patterns! I made the skirt out of lovely green wool that I bought a couple of christmases ago. Sewing it up was fairly easy but I did have to grade it up about 4 inches, which was easy to do although I did have to cut out the waistband twice. It also has a lapped side zipper and interfaced waistband. Hope you all had a lovely Christmas weekend and got up to some sewing! 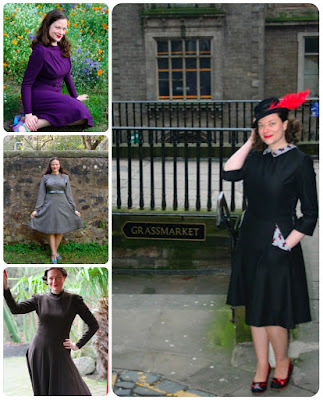 I'm looking forward to some more year end sewing. 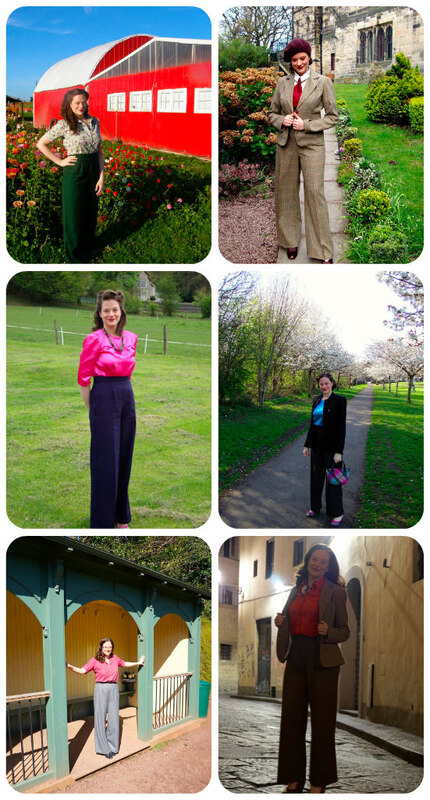 Top left: Green lightweight trousers; top right: the tweed ensemble; middle left: the first pair in lightweight navy wool fabric; middle right: trousers in greyish black; bottom left: trousers in Italian grey wool and bottom right: my new trousers! I love the fit of these high-waisted 1941 (reproduction) trousers pattern. 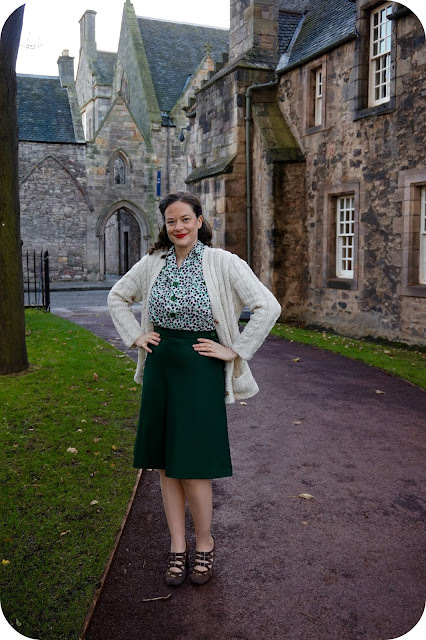 It looks great with a suit jacket (this one is from my favourite Scottish company, Ness) or styled in the 1940s way. 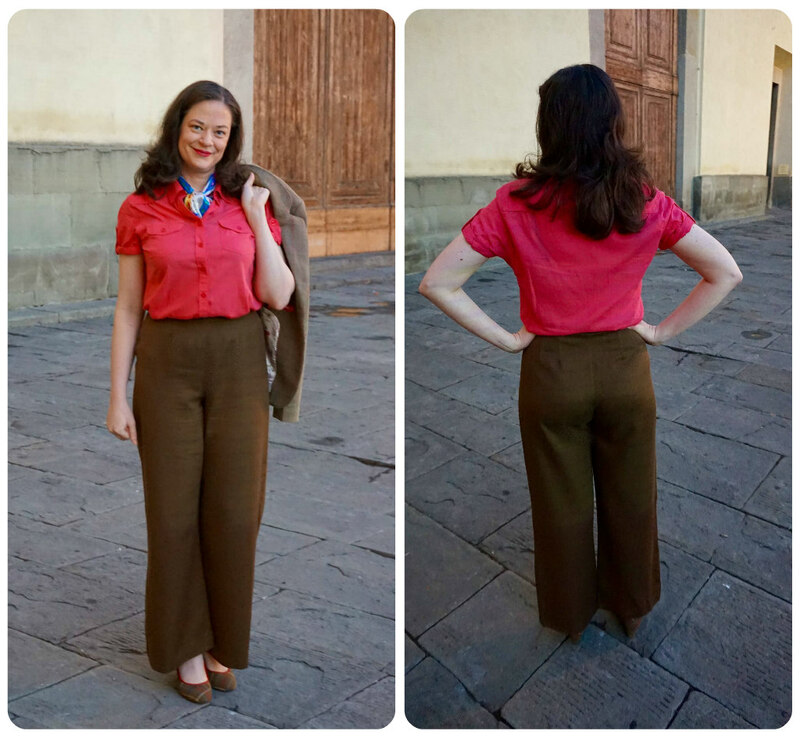 We took these photos in Florence where we spent the Christmas holiday period. The city is so charming and colourful. There were light displays throughout the city. 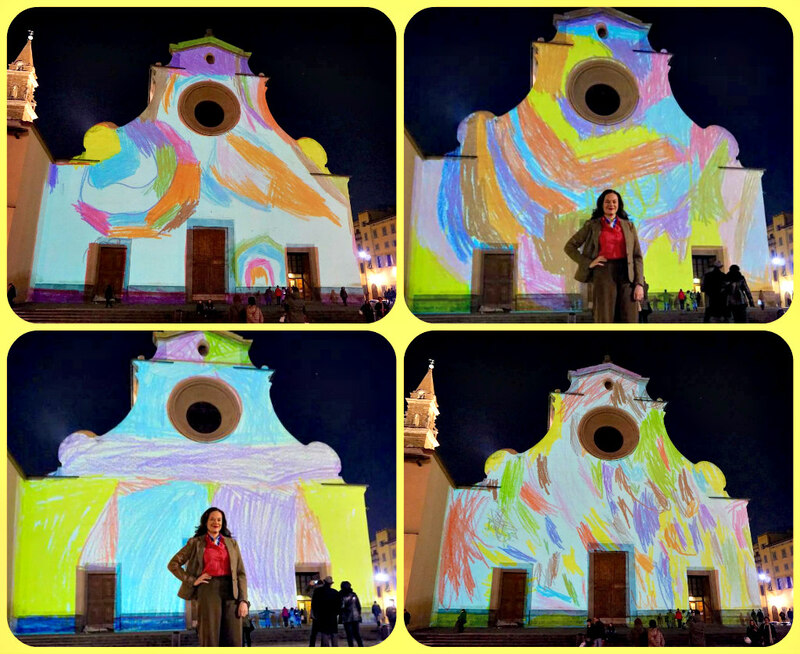 These photos were taken at the Santo Spirito cathedral which had children's drawings project onto it throughout the night. How lovely is that? YAY for favourite patterns! What is your tried 'n true pattern? We have a new holiday tradition – watching the 'Thin Man' movie. 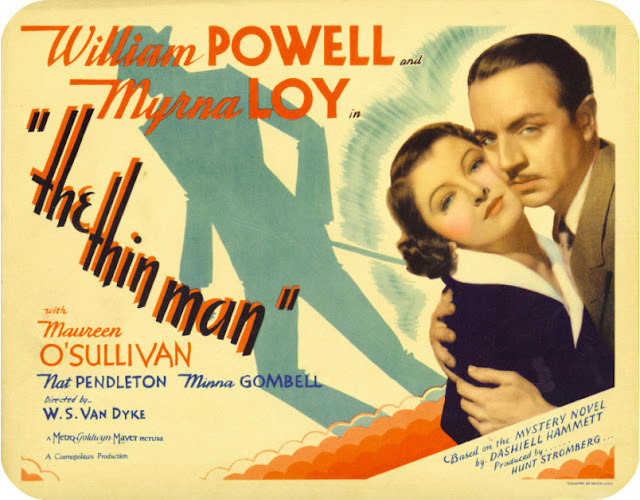 Filmed in 1934, it features two of my favourite actors together, William Powell and Myrna Loy, for unforgettable on-screen chemistry. 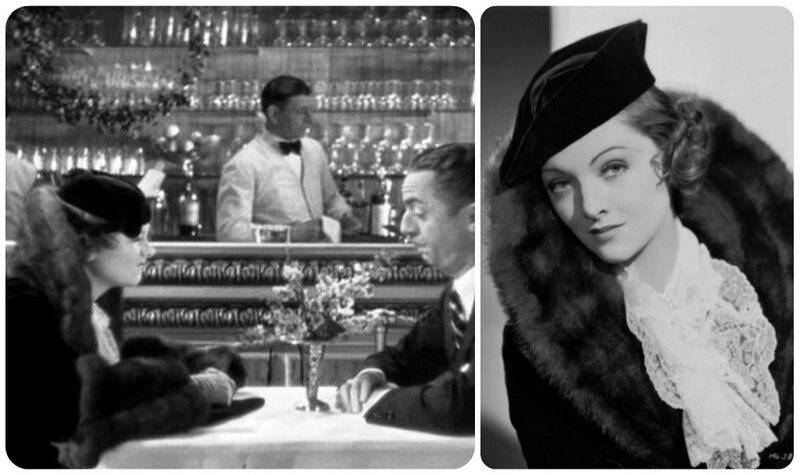 It also features some amazing art deco outfits! For the bowed blouse, either the Butterick blouse or the New York dress pattern (upper left corner) would work under a jacket like the one from the DuBarry pattern. There's also the perfect beret hat pattern (with or without the bows)! 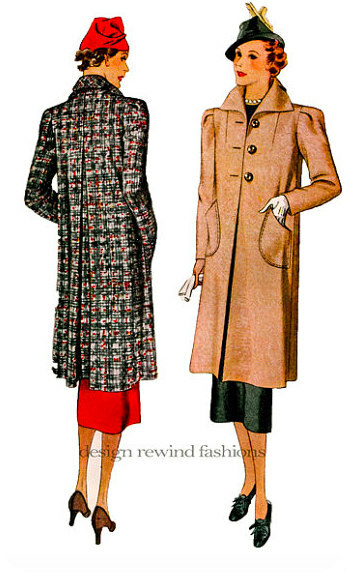 Left: 1930s instant download coat pattern in any size; Middle: Mode du Jour Magazine from 1931; Right: 1930s Autumn Coat instant download pattern in any size.